Don’t join this event if you like working 9-5 in an office! Designed for people who are ready to disrupt the status quo and step into the future of work, this talk will cover best practices for making the switch. In less than a decade, the majority of the U.S. workforce is expected to work as freelancers. 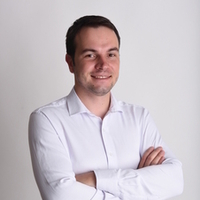 Pavel Vydra, a Toptal developer, will lead this event and will share his personal experience. A data scientist and product developer, Pavel has worked with big corporations like eBay, and in the most recent few years as a freelancer with Toptal. Based in Prague, the Czech Republic, he has been supporting clients all over the globe, including Australia, Dubai, Sweden or the United States. Join Pavel November 28, 6:00 to 8:00pm to learn best practices of how to approach the occurring transformation in the job market, and embrace the advantages of working remotely — without losing the benefits of conventional employment. Entry is free. Please register here to save your spot. Your message to Pavel was sent.